Bus stop directly at Miniatur Wunderland!! Children under 6 years are FREE!!! All 10 - 20 min. 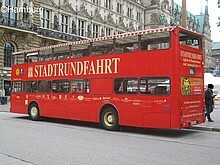 keep the double-decker bus at the bus stop "Auf dem Sande", just 2 minutes walk from Miniatur Wunderland! 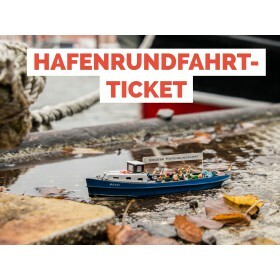 This day ticket you can died sparkled your itinerary individually . You can hop on and off at over 20 stops!! ...and even more! 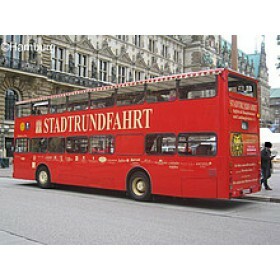 Welcome to our sightseeing tour in our double - decker busses, via GPS system in English, French, Spanish, Italian, Russian .